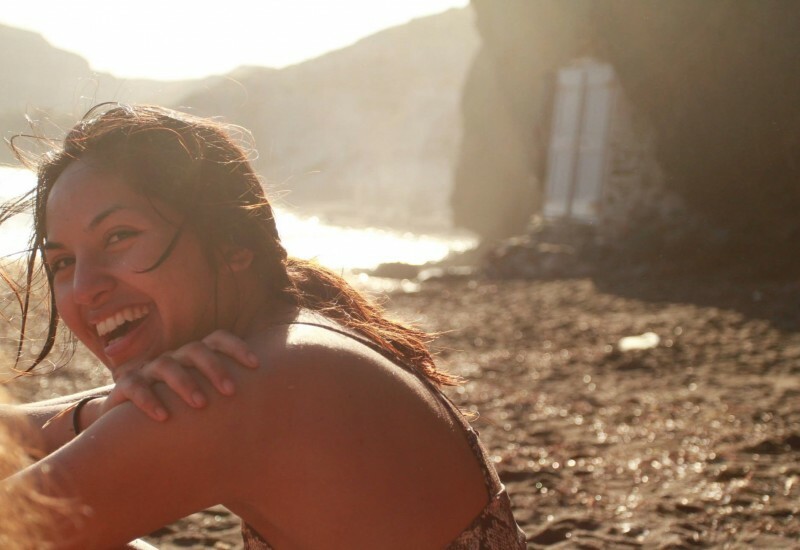 Me, Sofia – My friend managed to capture me laughing at my friend’s joke, sitting on the Red Beach, Santorini, Greece. Ido not think I would be the same person I am today if I had not travelled. The conversations I have had with strangers and experiences I have gathered have both taught me important lessons and shaped how I think. Indeed I have felt the most grateful for one particular lesson that travelling has given me: how to be optimistic. 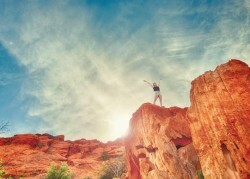 It is easy for me to get caught up and fixated on trivial problems that I come across in the everyday routine of life. However when I travel, no matter what the distance, let it be an hour’s drive away to a Norwegian cabin in the woods or looking out the window as I take off from a plane, I am forced to let go of the routine, “zoom out” and acknowledge I am somewhere new. This mental release gives me time to think. It’s almost as if I have an out of body experience and see truly how easy it is to overcome any problems I thought were mountains before. I see a new perspective too when I hike. When I am in nature, and surviving with the bare necessities, I realise what really is important in life. Everything I come across in a hike to some extent becomes a metaphorical life lesson. For example, chocolate symbolises luxuries in life, goods that I would enjoy to have for a period of time, but all I really need is water and basic food to keep me going. I could apply this logic to relationships. 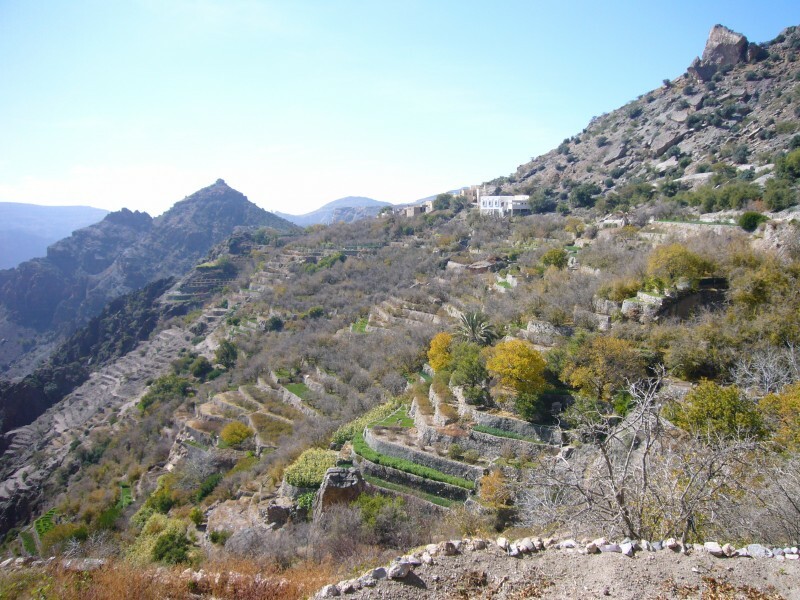 Jebel Akhdar – meaning “the Green Mountain”. It has Falajes, manmade streams of water, cutting across the mountain side. How small I felt compared to my surroundings too was a lesson. Like my problems, I was so tiny compared to how grand nature was. The world had so much to offer, like the hidden trickling streams in the Omani mountains. I just had to get over how small I was and feel brave enough to hike the cliffs to pursue them. As a side note: I promise I come back from every hiking trip thinking light bulbs are one of men’s most genius and magical creations. Hiking really did teach me how to be appreciative. 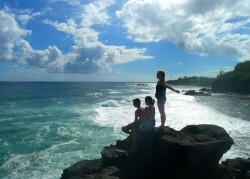 Travelling made me much more optimistic, the more self-confident I became. The more experiences I had, the braver I was to try new things. I remember distinctly standing on top of the mountain of Tryfan, in Snowdonia Wales, feeling proud that I reached the peak. The realisation that it was only my own two legs that let me reach the top was, and I use this word in terms of its original meaning, awesome. Who I was before I travelled on my own would have never accomplished this hike. 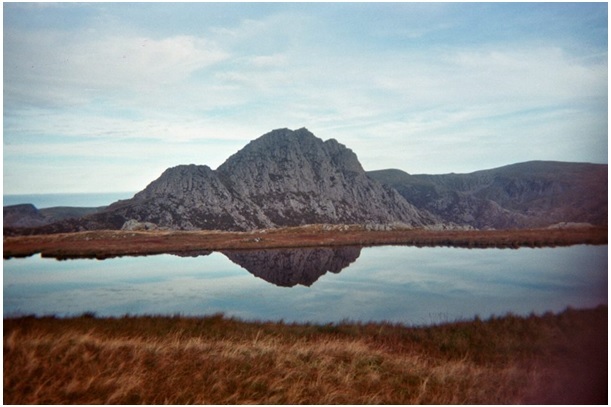 Tryfan – A mountain in Snowdonia, Wales. It is 900 meter from sea level. I took this photo from a peak of another mountain where I was camping with my disposable camera. With this new found confidence, I began talking to strangers when taking trips. 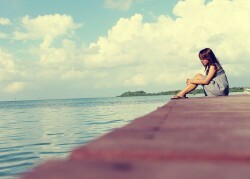 For me, people were the source of the “trivial problems” in my life. I lived in a small Norwegian town where people generally kept to themselves. The feeling of not connecting to others was somewhat depressing, and the fact that I was interacting with the same people every day did not help. It was so refreshing to travel and talk to new people who were eager to chat back. The conversations I had were so important to me as well, as I always found I learnt something valuable every time. I remember I met an old man named John on the bus ride to dog sledging in Trømso, Norway. I asked him what advice he would give to someone my age, and he told me to keep on trying new experiences. “Join a play, join a sports team, keep on learning and it’ll pay off” he said. Funnily enough that’s what I subconsciously kept referring to afterwards, so I kept on joining new things, and it led on to all kinds of doors. Such as learning to dive despite my fear of the sea and starting a band. 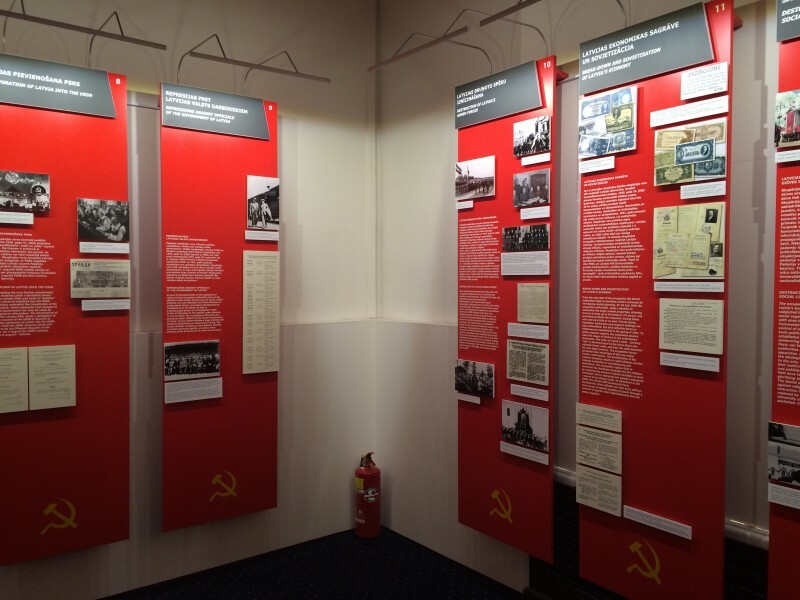 The Museum of Occupation of Latvia – The exhibits about how the USSR occupied Latvia, where I first met the woman I talked to. How people reacted to me as well helped me appreciate myself. For example in Latvia I met a woman in The Museum of the Occupation of Latvia when we both reacted in shock when watching an interview in an exhibition on how dissidents exiled to Serbia were treated. With our simultaneous cry of disgust we looked at each other and started to discuss about how cruel the dissidents living conditions were; this led on to a conversation about history, woman rights and propaganda. The viewpoints I brought up in the conversation were thoughts I had often, so it did not seem I was saying anything extraordinary. However the woman kept saying phrases like “I never thought of that! That’s a good point.” and that made me feel my mind was somewhat unique, and possibly value to society, as pretentious as that may sound. The conversation that shallowly boosted my confidence the most however, was when I was in Copenhagen, Denmark. I had walked past a boy around my age sitting with his friends and smiled shyly. As I carried on walking, in the corner of my eye I could see him keep looking back at me. I then panicked when I saw him get up and start running after me. He shouted for me to stop, and when I anxiously did, he asked me if I had a minute. I apologised that I didn’t, since I had to catch a train. I just really wanted to escape from him. “Oh…I just wanted to say that you’re beautiful.” He replied. 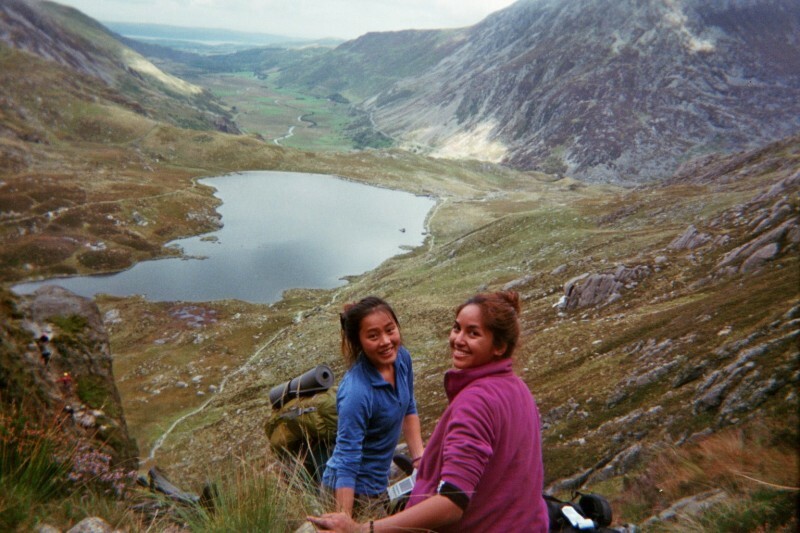 Hiking in Snowdonia – My friend and I taking a break on the mountain side whilst hiking in Snowdonia, Wales. Travelling has let me discover who I am, given me new perspectives on life and shown me that there are people out there for me to connect with. 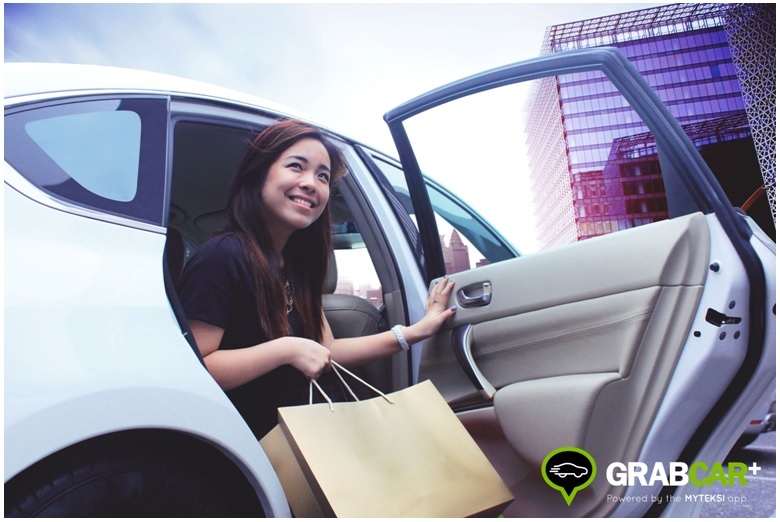 With this knowledge, I know it is having a string of bad days in my everyday life routine if it meant I could have the special experiences I had when I travelled. I know travelling has made me optimistic because I feel that I genuinely love the world an awful lot more. It’s to such an extent that in Greece, the last place I backpacked too, I took a photo of such a wicked view of a beach by volcanic rocks and literally thought, with butterflies in my stomach, “Maaaaan, life is good”. 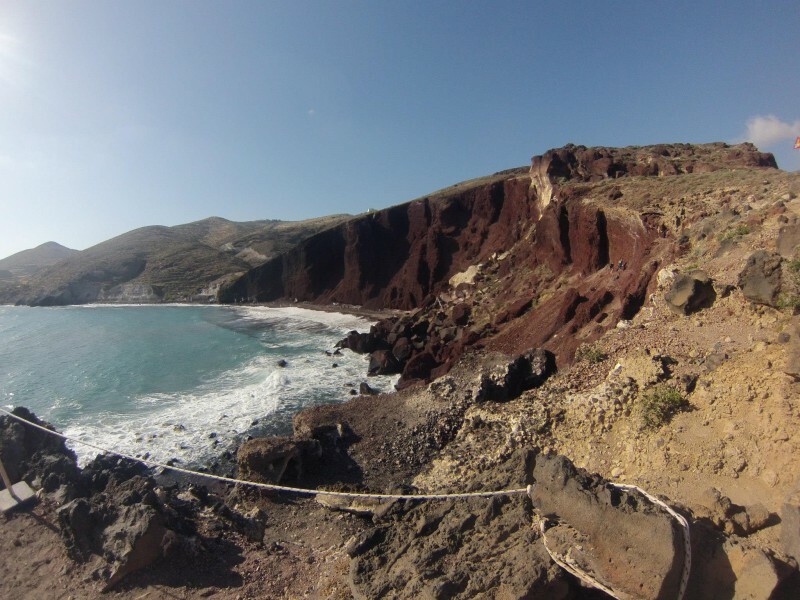 The Red Beach, Santorini, Greece – The actual photo I took thinking “Maaaaan, life is good” with butterflies in my stomach. Taken with my GoPro.